This Wedding Garter is inspired by vintage Irish lace and features finely embroidered mesh fabric and a ruffled lace skirt with baby pearls. 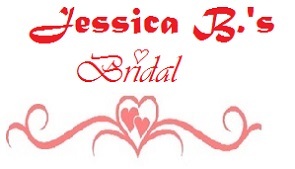 These exquisite bridal garters are adorned with baby pearls and feature a pearl studded appliqué flower on the ribbons. 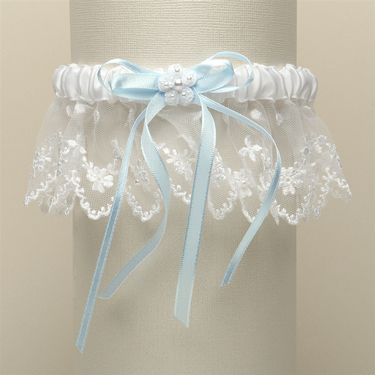 Our lovely boxed garter measure 6.35 cm h and is available in all white, all ivory, white with blue or ivory with blue.